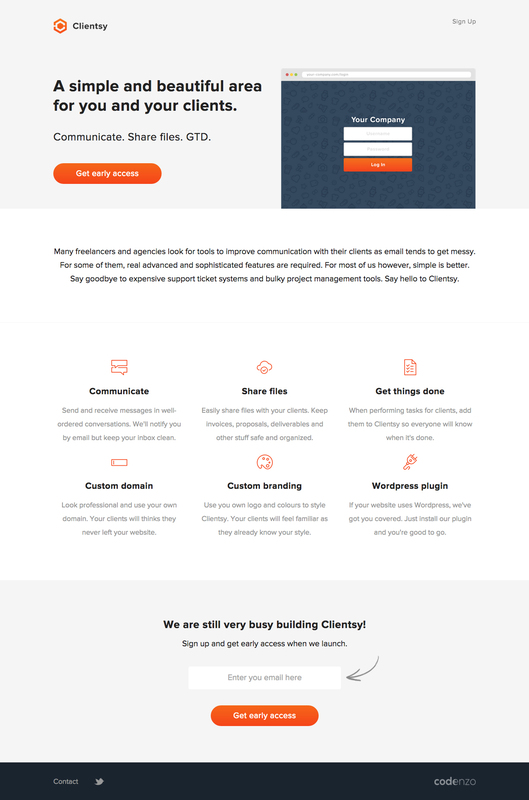 Clean responsive launching soon page for ‘Clientsy’ – an upcoming solution to communicate with your clients in one dashboard instead of email. We've tried to build a very clean and bright landing page for our new product Clientsy. It's objective is to collect as many email addresses possible from early adopters interested in getting early access to our product. Although the page is very small and basic, we believe we've created a beautiful website that makes you want to know more.